In a fast-moving place like Hong Kong, sometimes it's nice to kick back to a bit of mellow songwriting. The prodigal Chris B returns as host of another Underground HK event, this time showcasing some rising names in the city's folk and acoustic scenes at Wan Chai's The Hub. Often found fronting local indie rock outfit Phoon, Mr Muk is a formidable songwriter. Performing a collection of indie-folk songs he scribed in his university dorm room, his distinctive voice has been steadily rising on lineups across Hong Kong since February last year. He opens the show. 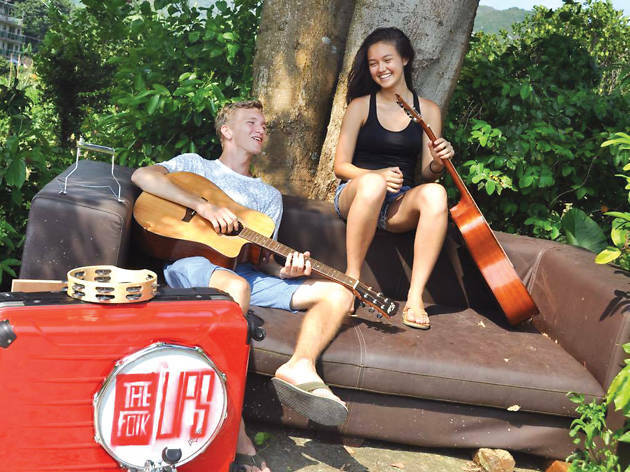 The Folk Ups are also on the bill, winners at the YMCA of Hong Kong Christian College's Audience Choice Awards. Ryan Harling and Jasmine Kelly switch between guitar, harmonica and banjo to create lovely duets. 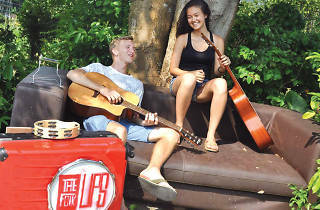 Mostly performing original material, the duo are inspired by bands such as The Lumineers and Of Monsters and Men. Also boasting a collection of stunning covers, they're the perfect act to kick back and hum along to. Next up is one of the most original bands you're likely to hear this fortnight. The Interzone Collective are a 12 strong collaboration based around the mesmerising sounds of the handpan (a handheld version of the Triidadian steel pan). Their music is designed for the listener to explore the inner workings of their mind, to 'unlock the power, the beauty and the darkness of the subconscious'. The penultimate act on the night is Cow Head, a lighthearted instrumental acoustic quartet whose joyful compositions landed them an impressive second place at this year's Parson's Music x AAW Band Legend Competition. Finally, Kasa ends the night. Better known as the vocalist for local rock band Seasons for Change, who are signed to US label Famined Records, Kasa rocks a sweet electro-pop sound as a soloist, dotted with ambient house and anime influences.